Video Decoding:H.265/HEVC, MPEG-2, MP@ML, MPEG-4 Part 10 / H.264. Tuner Type: DVB-T2 / DVB-T/ DVB-C. Tuner Type: DVB-S / DVB-S2. Tuner & Demodulation. WiFi: Built-in 2.4G single band 802.11b/g/n WiFi connection. This receiver is PVR ready via an external USB drive (not included) and includes an RJ-45 ethernet port or optional USB WiFi dongle for connection to your local network and the internet. Full HD 1080p output through HDMI. DVB-T Frequency range: 174-233MHz (VHF) & 470-858MHz (UHF). HDMI to RF Modulator. HDMI 1.4 input connection (up to 1080i resolution). 90dBµV RF output (Adjustable between -14dB ~ 6dB). HDMI: Type A, ver 1.4a. Universal Single LNB used for Universal Satellite Dishes, Low noise 0.1dB and great reception qualities. Quality product from Amiko. Noise Figure: 0.1dB. DESCRIPTION & Spec of Amiko ECO Single Universal LNB. DESCRIPTION of Amiko Spiel HD Satellite Receiver & Games Console! The all new Amiko Spiel HD Satellite Receiver is jam packed full of features!! FREE USB Games controller for Amiko Spiel HD. Tuner & Demodulation. Tuner Type: DVB-S / DVB-S2. 6000 channels (TV and Radio) programmable. Program and Channel information transfer from receiver to receiver. Mountable on TV. Input Connector: F-type, Connector, Female. Web Browsing with Adobe Flash Player support. 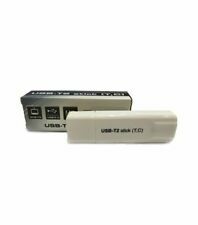 One High Speed USB 3.0 & two USB2.0 ports. MicroSD Expansion. Miracast & Airplay support. Google Play! Micro SD expansion. Channel Recording to External HDD, USB, or via Network. Description of Amiko Alien Mini: Program and Channel information transfer from receiver to receiver. YouTube, SHOUTcast Radio, and Picasa Compatible. Endless channels (TV and Radio) programmable. 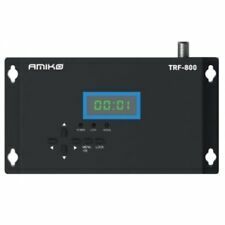 Amiko 10x1 Diseqc Switch allows a Satellite Receiver to automatically Switch between 10 LNBs on one satellite dish, perfect for Multi satellite dishes such as the Wavefrontier T90 or the Maximum Multi Satellite Dish. Touchpad Mouse. - System Support: Windows Vista, Windows CE, Windows 7, Windows 8. - usb adapter for connecting without a wired remote with the hardware. - USB extension cable for USB port. MONTAZ ANTEN KAMIL. So verfügt der Receiver über einen auf 2.0 GHz getakteten 64bit Quad Core Cortex A-53 Prozessor (CPU). Weiterhin sind 8 GB Flashspeicher und 1 GB DDR3 Ram verbaut, was zu schnellen Umschaltzeiten sowie ruckelfreien Wiedergaben führt. Amiko 8x1 Diseqc Switch allows a Satellite Receiver to automatically Switch between 8 LNBs on one satellite dish, perfect for Multi satellite dishes such as the Wavefrontier T90 or the Maximum Multi Satellite Dish. AMIKO - Mini Combo. AMIKO - Micro HD. AMIKO - Mini HD. AMIKO REMOTE WILL WORK WITH remote not allways included logo. AMIKO REMOTE. AMIKO - 8320. AMIKO - 8330. AMIKO - 8340. HEVC decoding support. Tuner & Demodulation. Tuner Type: DVB-S / DVB-S2. Program and Channel information transfer from receiver to receiver. 6000 channels (TV and Radio) programmable. Transport Stream: MPEG-2, H.264,H.265.